If you’re looking for gloriously colourful displays of flowers in a quiet spot where you can enjoy wonderful views of the coast, head for Greenhill Gardens at the northern end of the seafront. Alexandra Gardens, at the other end, near the Pavilion Theatre, offer an entirely different experience. They’re all candy floss, funfair rides and arcade games. Great fun for families with some loose change to spend on entertaining themselves. The relatively small space does not allow for a huge variety of rides or a sprawling arcade. 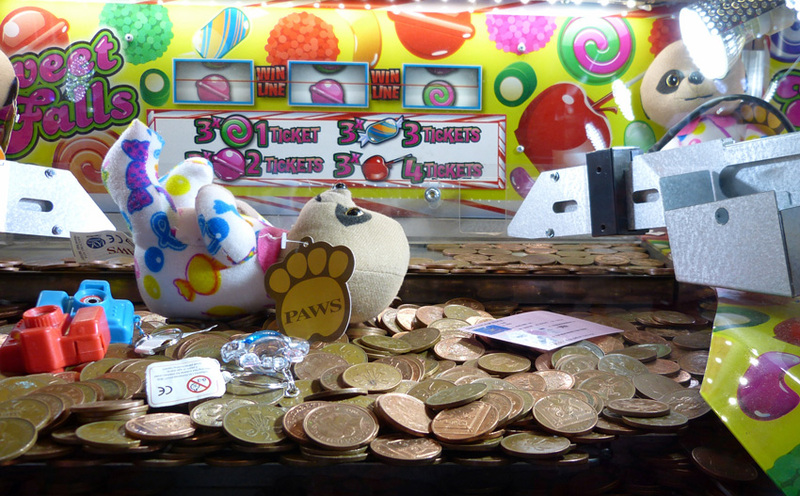 What’s there is in keeping with Weymouth’s character as a family seaside resort – a small selection of entertainments for when you’re looking for a break from the beach, or need something to do when it rains. The gardens were established on this small triangle of land nearly 150 years ago and until the early twentieth century they were a traditional seaside garden with flowerbeds, footpaths and a bandstand in the centre. Alexandra Gardens feature in many postcards from that era. In 1913 the bandstand was enclosed into the glass Kursaal, an octagonal structure that provided shelter in all weathers. The distinctive Kursaal (a German word meaning ‘healthy entertainment’) only stood for eleven years. 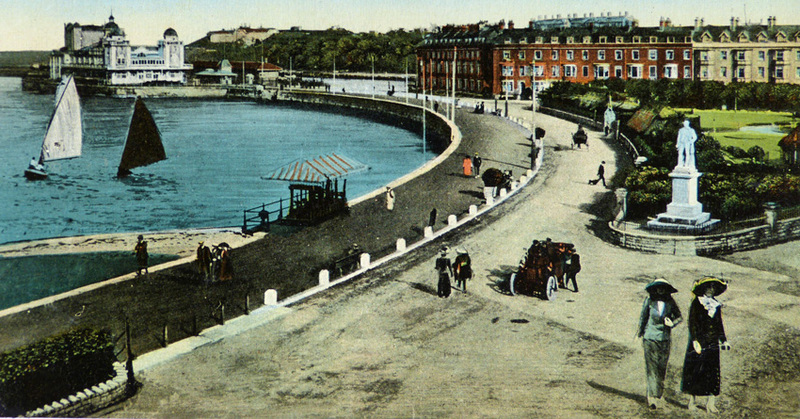 It was demolished in 1924 and the bandstand was moved to Nothe Gardens. It was replaced by Alexandra Gardens Theatre, which offered some competition to the larger Pavilion nearby. In 1963 the building became the Electric Palace amusement arcade, which was destroyed by fire in 1993. Today’s Electric Palace was built to echo the shape of the Kursaal, with its many sides.